This Lot Has Been Viewed 3023 Times. 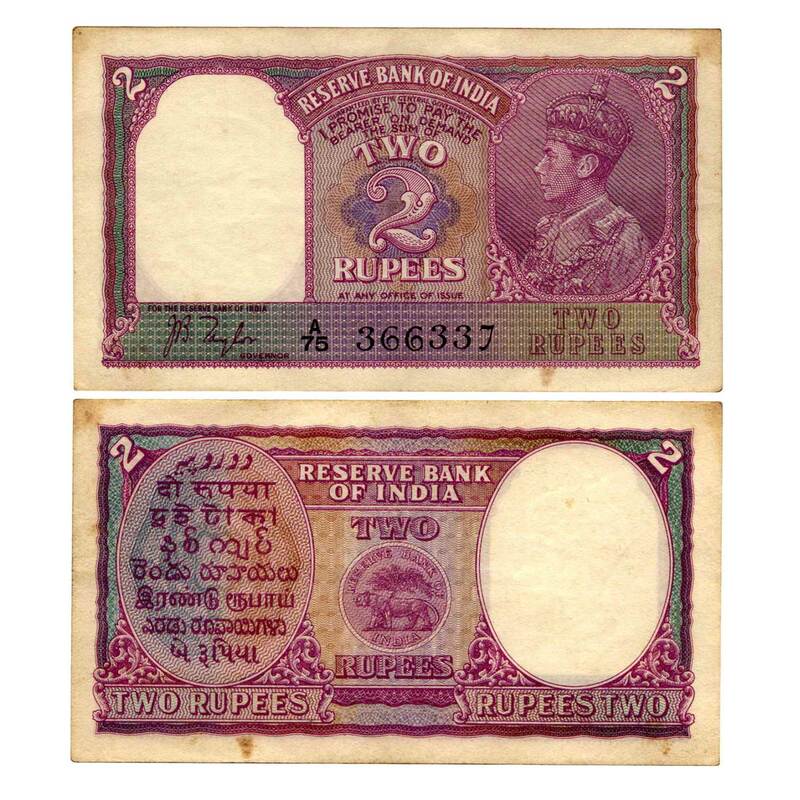 George VI, 2 Rupees, Signed by J.B. Taylor, Pink, watermark having the king facing right, Prefix A75. Very Fine+, Rare.